We spent the afternoon last Friday at Lagoon, Utah's local amusement park. Colin made the comment the next day about it being like a little Disnayland. We rode a few rides, ate some dinner and came home. 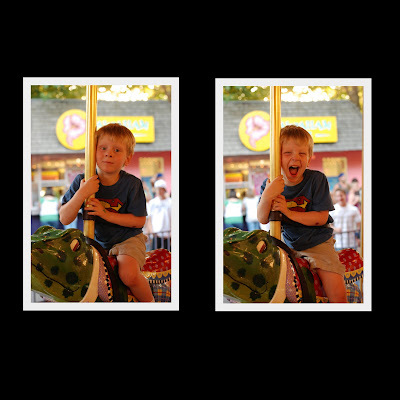 Jane loved the carousel. She was heartbroken when the ride was over. She still cannot help herself and has to explore with her mouth at times. I need to take more phots of our guests who have been coming through. We have been inundated with old friends and love that so many people pass through Utah.